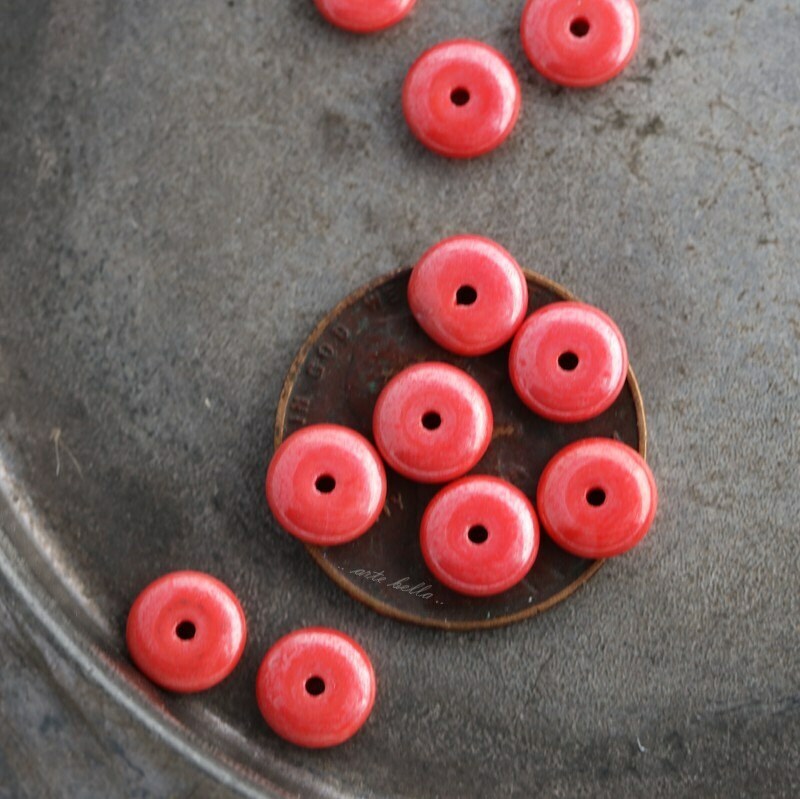 Deep coral with a silver metallic wash. 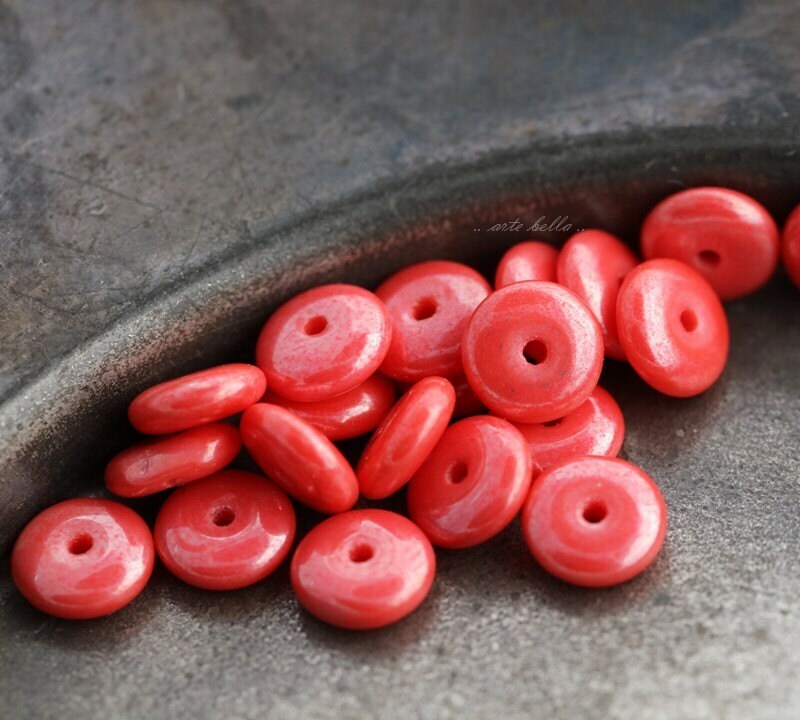 Smooth disc spacer beads. 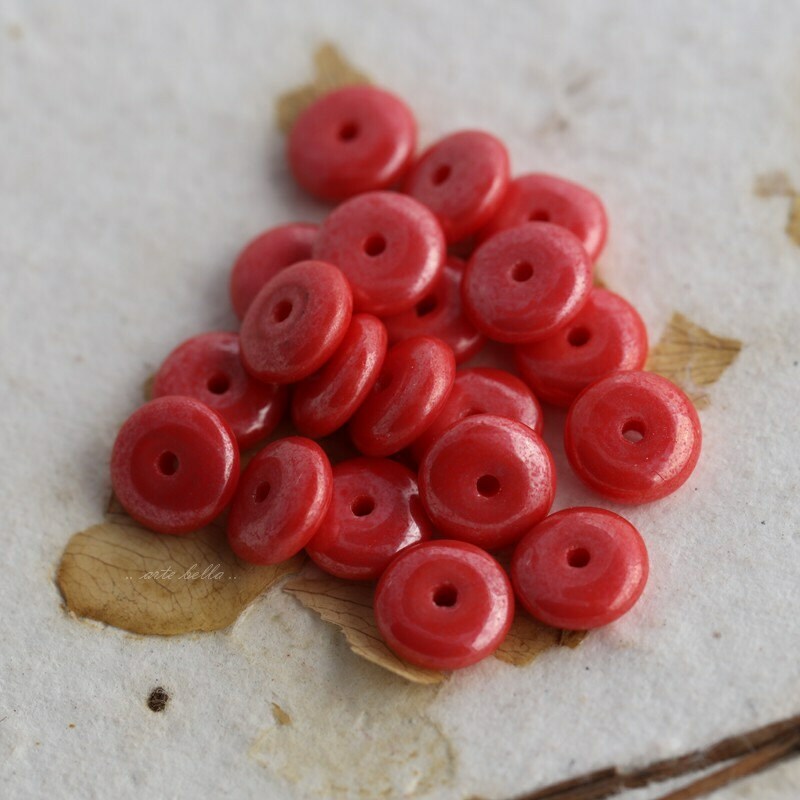 Super bright coral color! 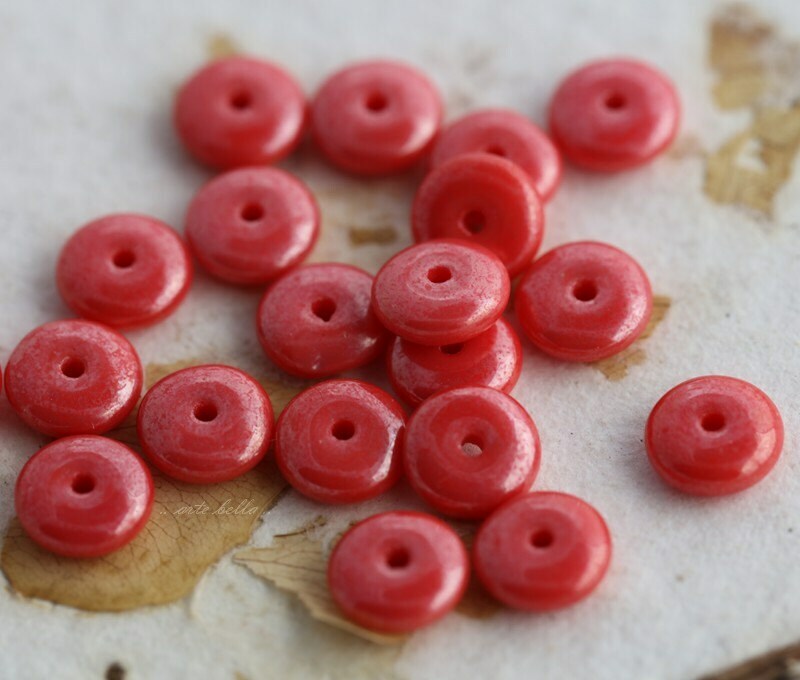 Perfect little beads! 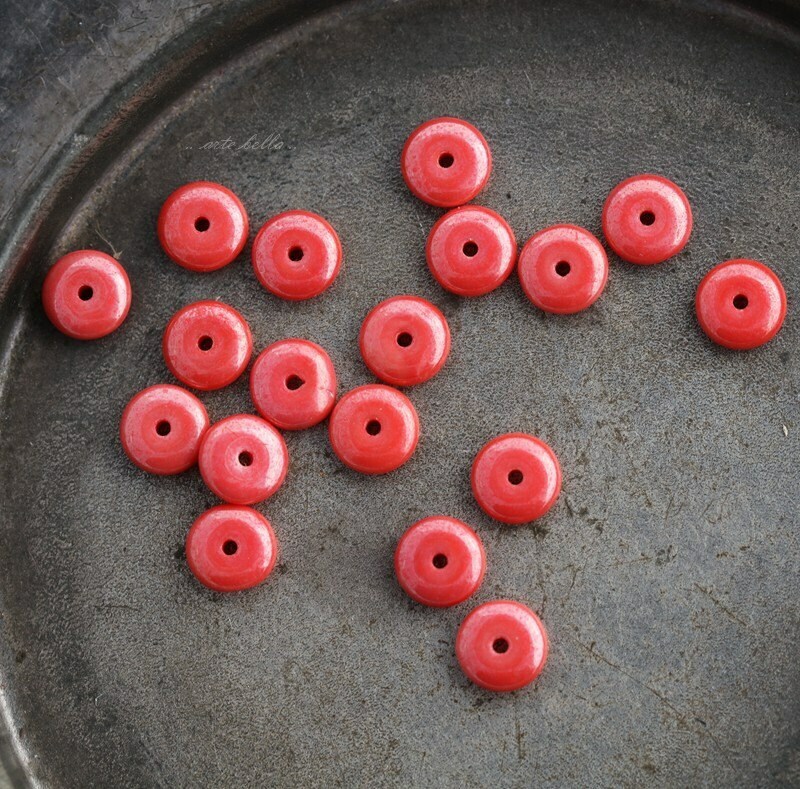 ArteBellaSurplus has a fantastic selection of beads and findings. I am always pleased at how fast shipping is and such fun when they arrive! Wonderful color! Have a feeling I might have to order more of these.